The year started with my announcing the ‘birth’ of GenderQueer.Life – a site which I have not been able to build up and maintain as much as it deserves. At The Digital Gryphon llc, the year began with my update of the 1980s protest slogan as Silence=Death: then, now, always. These were but the first in a series of blog posts, tweets, and Facebook posts addressing the disaster that is the current federal US administration. February brought the 36th anniversary of Operation SOAP, the 35th anniversary of Romanovsky & Phillips’ debut and the 38th annual Pink Triangle Day. 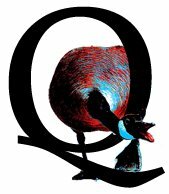 I began building up some online shops at a new(ish) Print On Demand site in March. I now have 4 shops at GearBubble with a variety of designs; mostly on mugs and apparel. I also saved up my pennies to get close to the stage for Paula Poundstone’s biannual return to Columbus. June, for much of the ‘civilized world’ is Pride Month. This year’s Pride in Columbus blended the angst that many of us feel about the US political situation, the growing resistance movement, and a long-overdue focus on #trans and #gender issues. The full-time evening job I’d had for three years disappeared through yet another corporate consolidation. Part-time work for the same cleaning franchise started as of June 1st. July brought my 59th birthday. Not one of those ’round numbers’ – but after psyching myself into surviving my 50th through mathematical sleight-of-hand, the *9s are the ones to face. The summer and fall of 2017 were more heavily focused on self-care. September marked one year since Dad passed, leaving me an orphan. It also marked that a year had passed from my last therapy session- due strictly to financial reasons. In addition to posting here about my repressed memories and missing childhood, I replaced those therapy visits with creating kaleidoscope prints. They started out as interesting designs from my photographs of local scenes and flora, but in time they became my Teddy Bear Tears series. This year I added a sixth text-based design touching on mental instability– because ‘inappropriate humour’ is a well-established defense and survival mechanism of mine. 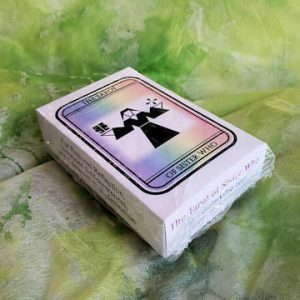 As the calendar year started to wind down, I decided the time has come to restart offering card readings as fundraiser for, and part of the outreach of my queer spiritual humanist ministry. I’m also merging the website for Digital Gryphon Publishing into the main the Digital Gryphon llc website. One less WordPress installation to maintain. And that, kids, is but an overview of what 2017 looks like on this blog.